NHL expansion plans are proceeding accordingly. Both cities that applied for an NHL expansion franchise - Quebec City and Las Vegas - have been invited to participate in the second phase of the NHL’s expansion application process. TSN Senior Hockey Reporter Frank Seravalli reports Quebecor, who is backing the bid for an NHL team in Quebec City, got the invitation Wednesday while vegaswantshockey.com - the website for the group in charge of the season ticket drive and effort to bring an NHL franchise to Las Vegas - sent out a statement. "We are pleased to report that the NHL has invited us to participate in Phase II of the application process. In this phase, we will be providing the League with additional information requested by it, including information about the Las Vegas market. We will also be permitted access to information provided by the League that it deems important to us. We are hopeful that at the conclusion of this phase the league will invite us to participate in Phase III." The third phase is expected to begin in mid-August and wrap up on Sept. 4 before the bid candidates are sent to the NHL's board of governors at a later date. 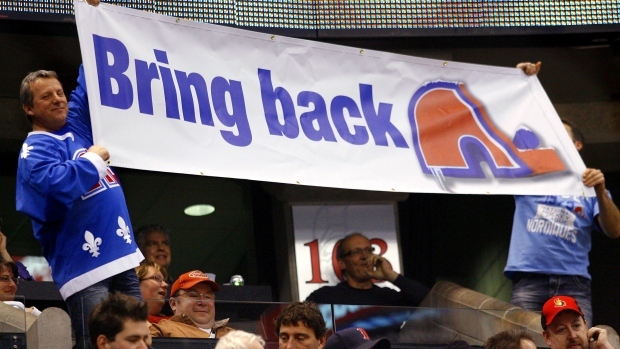 A new expansion team is not expected to begin playing until the 2017-18 season.